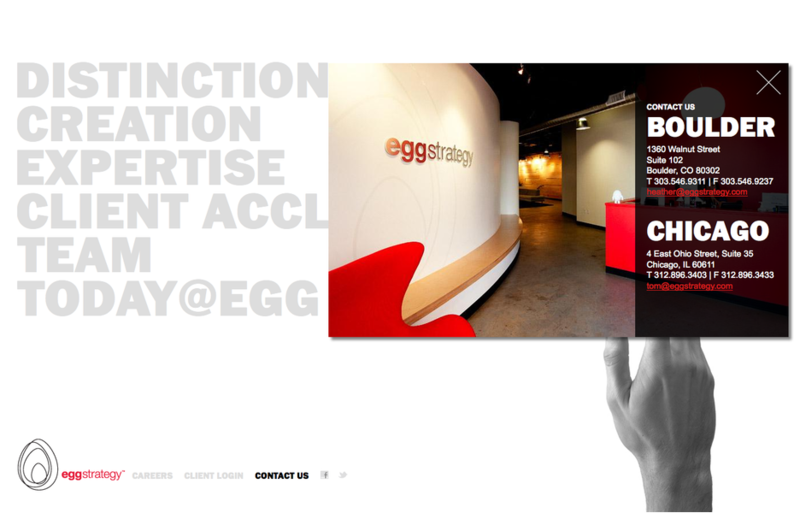 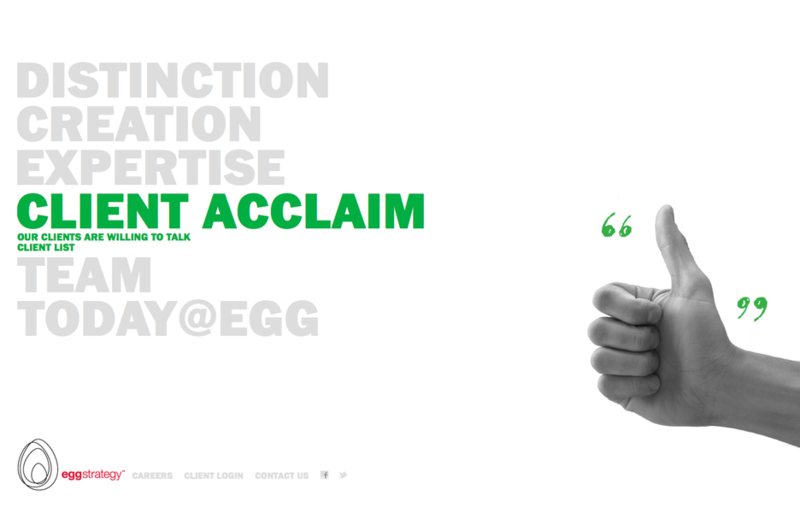 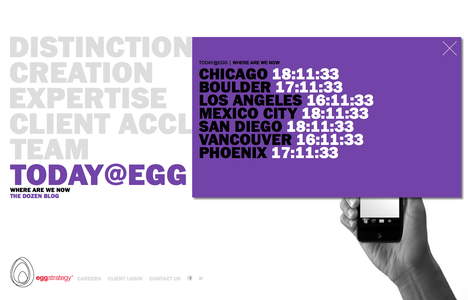 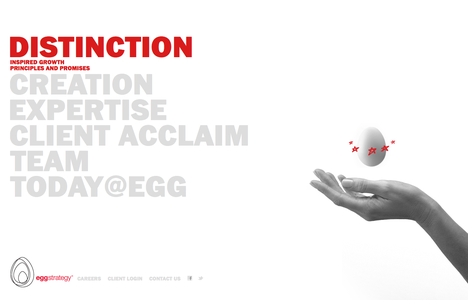 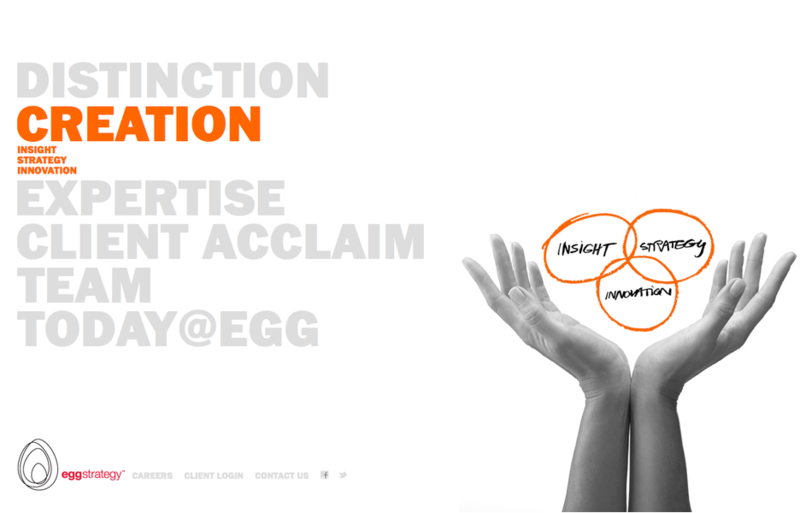 Egg Strategy is a consultancy providing brand strategy, consumer research and innovation. Known for their creativity and innovative practices among other strategy firms, Egg Strategy was looking to convey these qualities through their image, both online and offline. 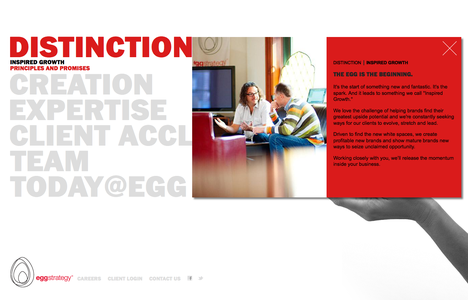 With a minimalist design approach, we created a timeless design in a trend-driven space. 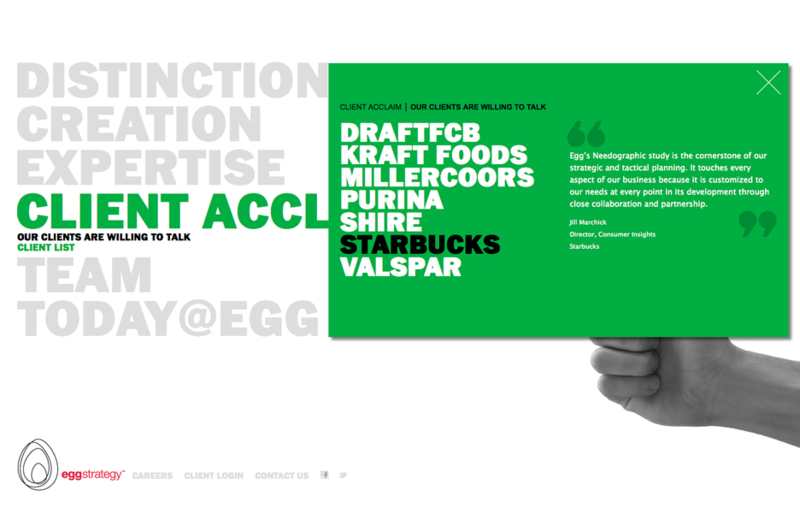 Pairing simple, but strong, modern typography with simple black and white imagery of hands in a variety of gestures, the site simultaneously communicates the analytical, emotional and humane aspects of the client’s practice.To convey the personalized aspect and deep engagement of Egg’s work with their clients, we utilized bold and candid photography of their people at work and of their constituents in real-life situations. To unify the presentation of the client’s forward thinking, creative and strategic practices, and their thought leadership, we developed their blog as a transparent overlay on top of their company website, showing the integrative qualities they possess as a firm via their online appearance. 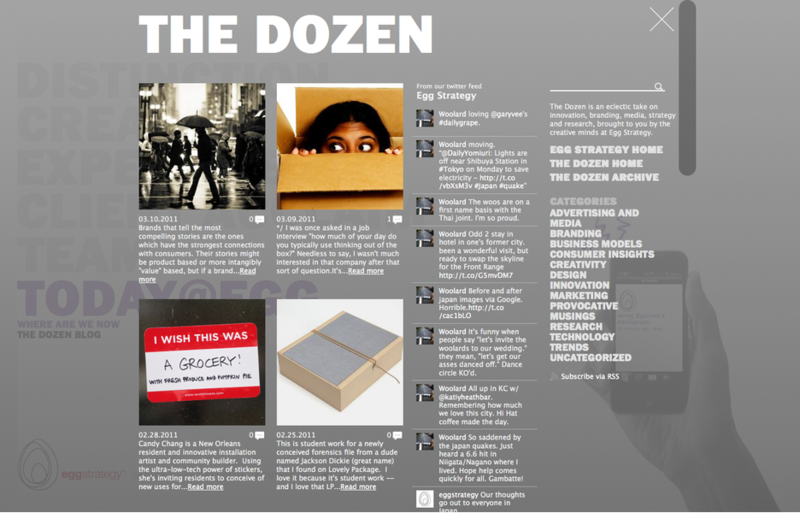 The new design provides an immediate remedy for the previous disconnect between their generic image and their innovative practices.